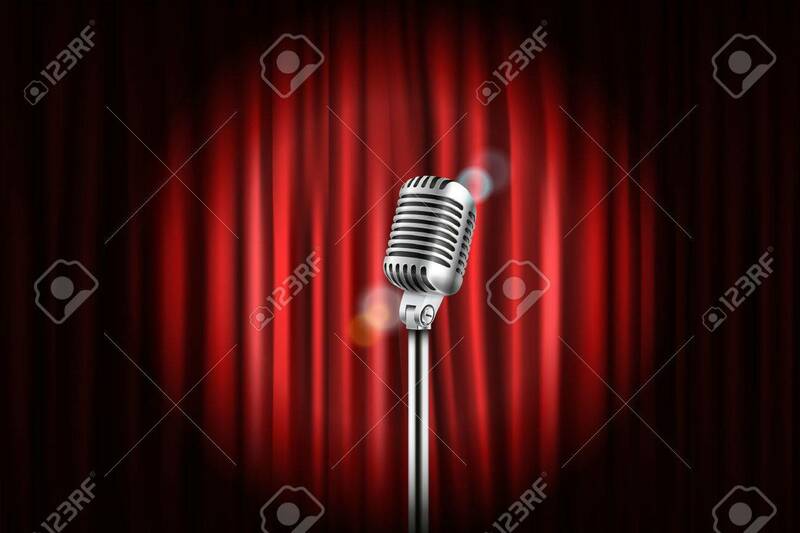 Stage Curtains With Shining Microphone Illustration. Standup.. Royalty Free Cliparts, Vectors, And Stock Illustration. Image 71547135.